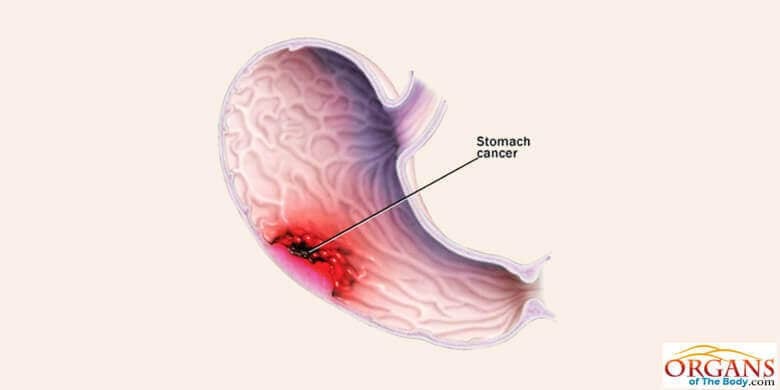 Stomach cancer – also known as gastric cancer – is caused by the formation of cancer cells in the mucous layer which is the inner lining of the stomach. These cells divide abnormally and gradually affect the nearby cells as well. Over a period of time, the cancer become severe leading to obvious signs and symptoms. Gastric cancer affects many individuals all over the world. It is more common among men as compared to women. Mostly, individuals over the age of fifty-five fall prey to the disease. It is possible to cure gastric cancer if detected at an early stage. Therefore, it is important to know what the specific signs and symptoms of the disease are. Prompt treatment should be sought in case any of these symptoms are experienced. At an advanced stage of the cancer, the possibility of a complete cure decreases. However, the spread of the disease can be slowed down through treatment. It is important to know what the signs of stomach cancer are. Have a look at the following discussion for information. At the onset of the disease, there are no obvious signs. Early symptoms of gastric cancer are vague and may be confused with simple indigestion or upset stomach. However, individuals over the age of 55 should seek an oncologist promptly if they develop any of the following symptoms for a relatively prolonged period of time. Pain and discomfort in the upper abdomen. Heartburn due to acid reflux in the gastrointestinal tract. Indigestion which makes it difficult for individuals to absorb proper nutrients from food. Vomiting of solid particles of food right after eating. Difficulty in eating owing to the feeling that food is stuck in the throat. Loss of appetite owing to nausea and indigestion. Unexplained loss of weight since indigestion causes poor absorption of important nutrients from food while a loss of appetite prevents patients from taking proper meals. Passing out blood with stool which turns the faeces blackish in color. This type of stool is referred to as melaena in medical terms. If an affected individual does not receive treatment during the early stages of gastric cancer, they will start developing more painful symptoms. The signs of stomach cancer in advanced stages are given below. The vague symptoms of the early stage of cancer increase in intensity. Feeling weak and extremely fatigued. Patients find it very hard to carry out the activities of their daily routine owing to the lack of energy. In some cases, fluid accumulates in the abdomen which can be detected as a lump. This condition is known as ascites in medical terms. Blood clots may develop in any part of the body. These clots can lead to other serious issues. For instance, a clot in the leg can develop swelling and pain in the area. Similarly, a clot in the lungs can lead to pain in the chest and breathlessness. In such cases, anti-clogging medicines should be prescribed by the doctor immediately. Most of the symptoms in early as well as the advanced stages of gastric cancer may also appear as associated with any other issue of the gastrointestinal tract. Therefore, a proper medical diagnosis is required, so that appropriate treatment can be given to fight against the cancer cells. In other words, careful diagnoses helps a physician to confirm the signs of gastric cancer. Diagnosis for the cancer of stomach can be carried out through the following procedures. If an individual goes through the early symptoms of stomach cancer, a physician carries out gastroscopy to examine the situation. An instrument, known as a gastroscope or endoscope, is used for this purpose which consists of a little thin and flexible telescope. The instrument is passed down the gastrointestinal tract through the mouth. It goes down the oesophagus and moves towards the stomach as well asthe duodenum (the first part of the small intestine). The telescope consists of fibre optic channels to let the light pass down. This enables the physician to view the stomach and the small intestine. This visual examination enables the doctor to determine the state of the disease. In case the physician discovers something suspicious during the gastroscopy, the next step is performed which is biopsy. This is a process which involves removing a tissue from a specific part of the body for examination. In the case of gastric cancer, the tissue is removed from the stomach during gastroscopy and examined under a microscope. The physician looks for abnormal cells in the sample. The signs of gastric cancer are easily confused with other diseases of the stomach which are not that much serious in nature. As discussed above, it is very important to pay heed to the early signs, particularly, for males over the age of fifty-five since they are more prone to the disease. As the disease spreads from one cell to another, the pain and discomfort of the victim increase while their health condition deteriorates. This is another obvious sign of gastric cancer which should be treated with special attention by both the patient as well as those around him. If an individual fails to recognize the above mentioned symptoms as signs of the deadly disease, their family or acquaintances must warn and persuade them to seek medical help as soon as possible. A proper diagnosis must be carried out followed by prompt treatment.